Heron Island, Queensland. J.M. Huisman. © J.M. Huisman. Cabrillo National Monument, Point Loma, California, USA. 07 Sep 2018. © National Park Service U.S. Department of the Interior. Excicata de un ejemplar recolectado por M. Esquivel en la zona Habana-Matanzas. Foto: Yusimí Alfonso..
Cabo de Palos, Murcia, Spain. 17 Jul 2013. Isabel Rubio Perez. © marmenormarmayor.es. Cabo de Palos, Murcia, Spain. 24 Apr 2014. Isabel Rubio Perez. © marmenormarmayor.es. 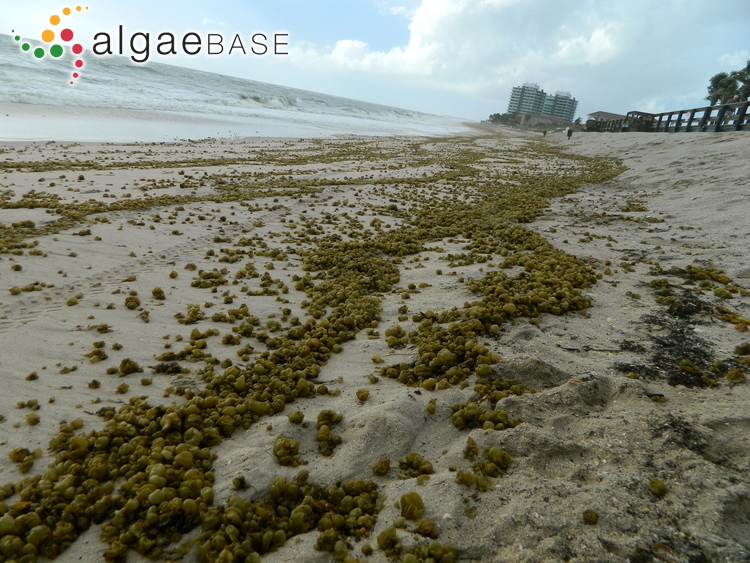 Vero Beach, FL, USA. 26 Aug 2012. Kris Baldwin. © Kris Baldwin. Habit: on the rope of lobster farm (Nhatrang Bay, Vietnam). 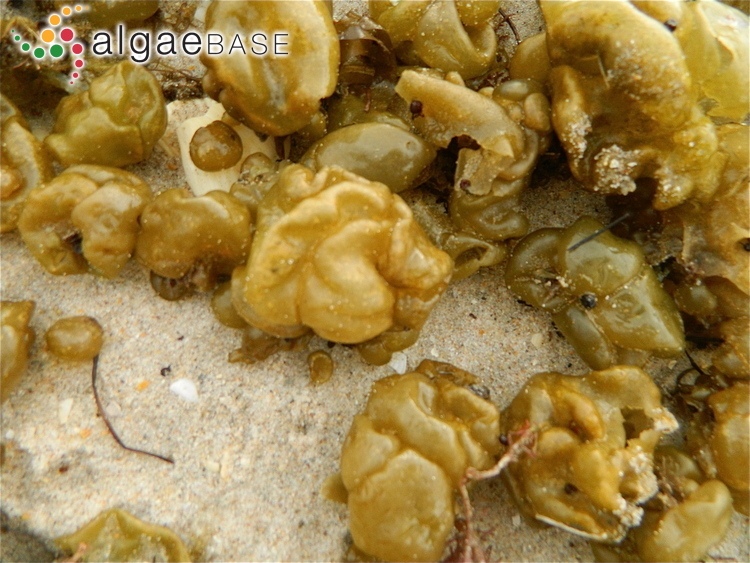 Insert: Low intertidal (Cape Ba Lang An, Vietnam).. 09 Mar 2012. Eduard and Tamara Titlyanova. © Eduard and Tamara Titlyanova (etitlyanov@mail.ru). Published in: Castagne, L. (1851). Supplément au catalogue des plantes qui croissent naturellement aux environs de Marseille. pp. -125, pls VIII-XI. Aix: Nicot & Pardigon. This is the type species (holotype) of the genus Colpomenia. 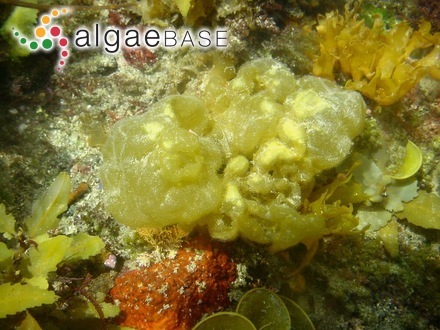 Type locality: "Inter Algas e mari Atlantico prope Gades" [near Cádiz, Spain] (Roth 1806: 327). Type: Mertens; BM (Yoshida 1998: 306). Notes: Type locality: “Gades”, Spain. Type: BM (Yoshida, T., 1998: 306). Type material: B, destroyed (Dawson et al. 1964: 24), K (now BM)? PC? LE? See Parsons (1982: 293) for comments on type material. Silva et al. (1996) refer to Asperococcus sinuosus var. 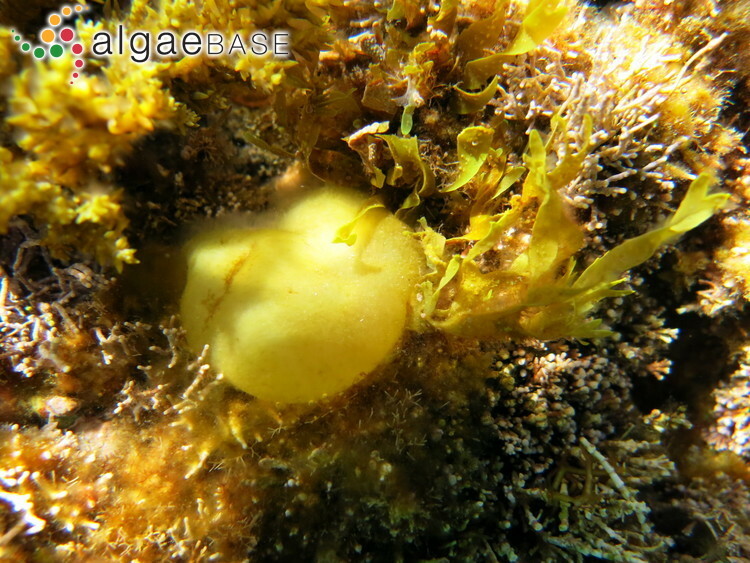 lobatus and Stictosiphon cavernosus var. lobatus as ‘invalid names referable to this species’. Please consult original text for full details. Also according to Silva et al. 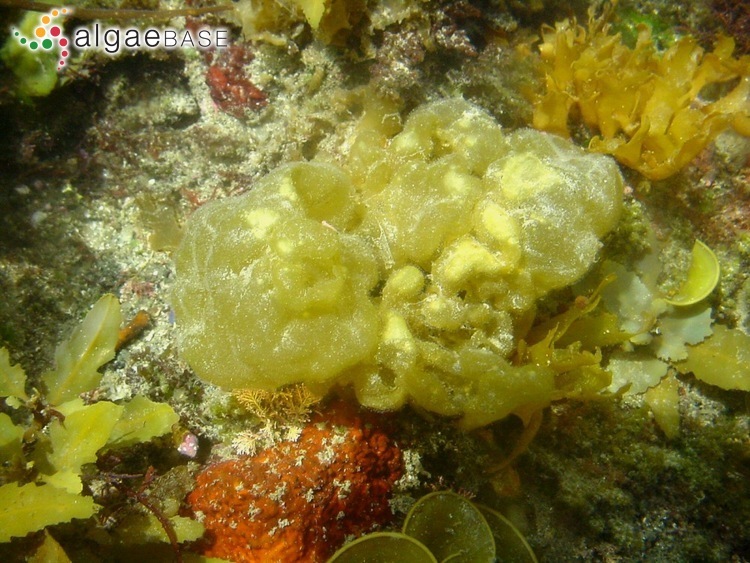 (1996:629) the taxon Asperococcus sinuosus var. firmior Sonder apparently lies within the circumspection of this species but has not yet been transferred or reduced to synonymy. Papenfuss (1964: 19) considers that the Antarctic records may be based on the vesicular stage of Caepidium antarcticum. French: Ballons, Voleuse d'huitres (Dickinson 1963). Aisha, K. & Shameel, M. (2012). 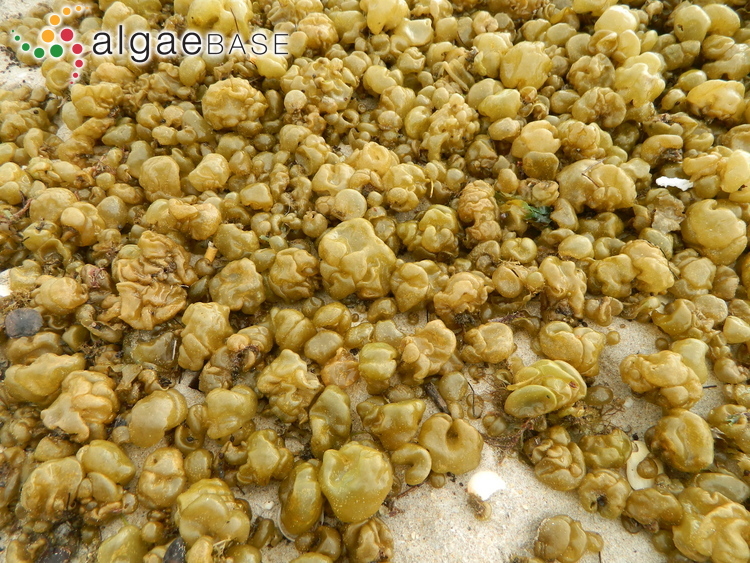 Taxonomy of the genus Colpomenia (Laminarophyceae, Phaeophycota) from the coast of Karachi. Pakistan Journal of Botany 49(2): 123-129, 4 figs. Lee, K.M., Boo, S.M., Kain (Jones), J.M. & Sherwood, A.R. (2013). 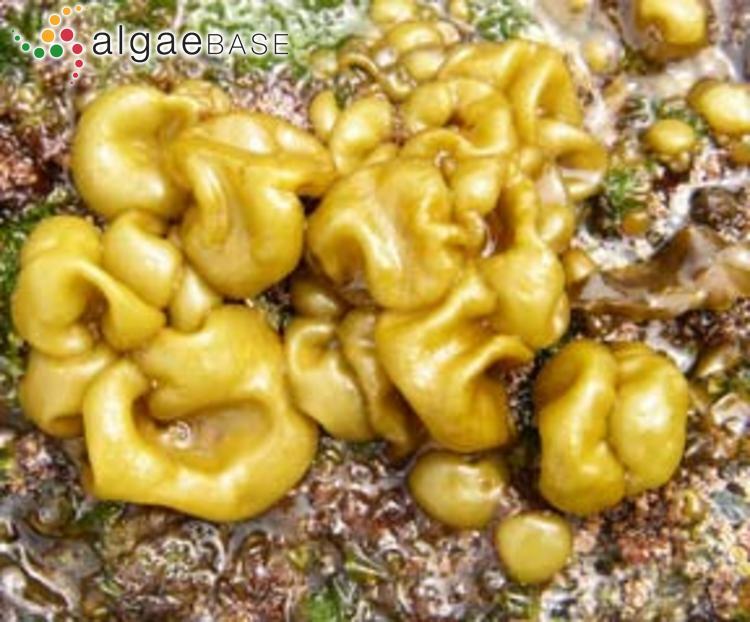 Cryptic diversity and biogeography of the widespread brown alga Colpomenia sinuosa (Ectocarpales, Phaeophyceae). Botanica Marina 56(1): 15-25. Parsons, M.J. (1982). Colpomenia (Endlicher) Derbès et Solier (Phaeophyta) in New Zealand. New Zealand Journal of Botany 20: 289-301, 15 figs. Accesses: This record has been accessed by users 34802 times since it was created. Blackler, H. (1937). 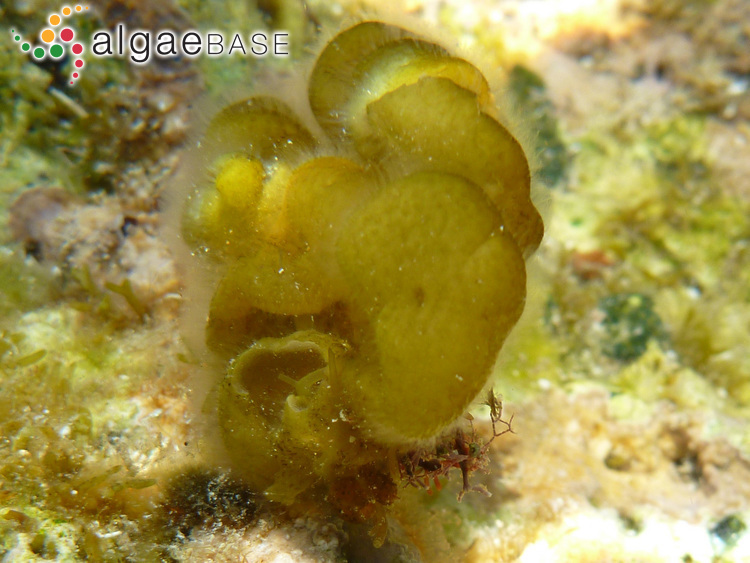 The alga Colpomenia sinuosa Derb. et Sol. in Ireland. Irish Naturalists' Journal 6: 196-197. Blackler, H. (1939). The occurrence of Colpomenia sinuosa (Mert.) Derb. et Sol. in Ireland. Irish Naturalists' Journal 7: 215. Cho, G.Y., Choi, D.W., Kim, M.S. & Boo, S.M. (2009). 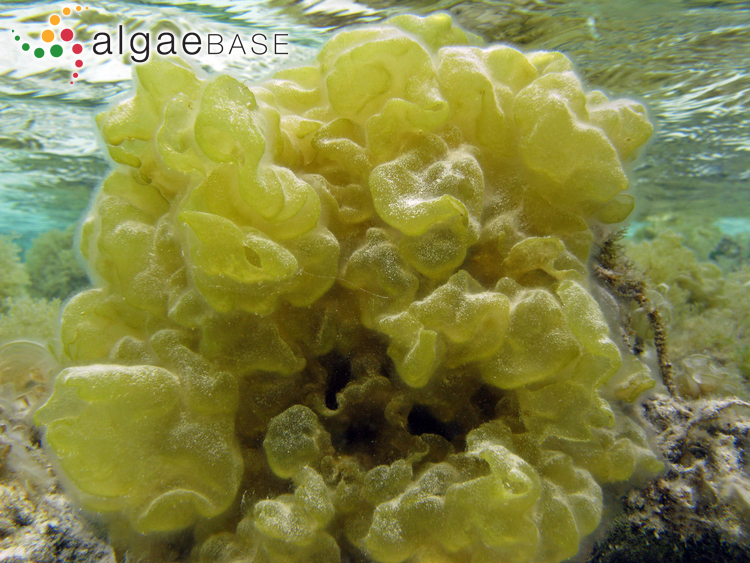 Sequence repeats enlarge the internal transcribed spacer 1 region of the brown alga Colpomenia sinuosa (Scytosiphonaceae, Phaeophyceae). Phycological Research 57(3): 242-250. Khin Khin Gyi & Soe Htun, [U.] (2012). The morphotaxonomy and phytogeographical distribution of Colpomenia sinuosa (Mertens ex Roth) Derbes & Solier (Scytosiphonales, Phaeophyta) from Myanmar. Universities Research Journal 5(1): [1-21]. Kogame, K. (1997). 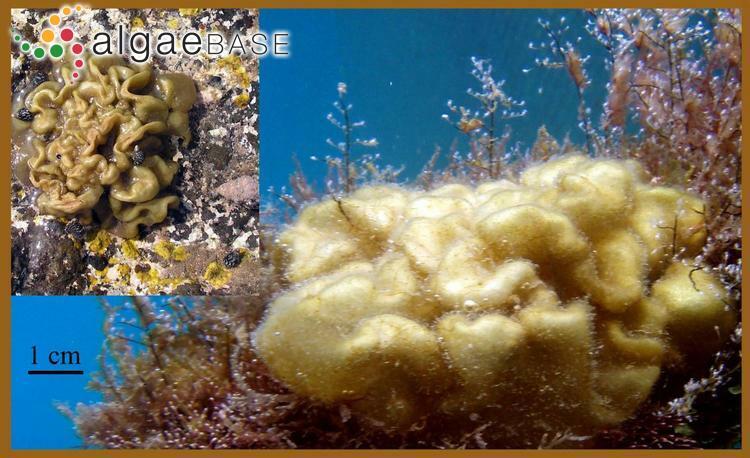 Life history of Colpomenia sinuosa and Hydroclathtus clathratus (Scytosiphonales, Phaeophyceae) in culture. Phycological Research 45: 277-231. Renouf, L.P.W. (1940). Colpomenia sinuosa (Mert.) Derb. et Sol. 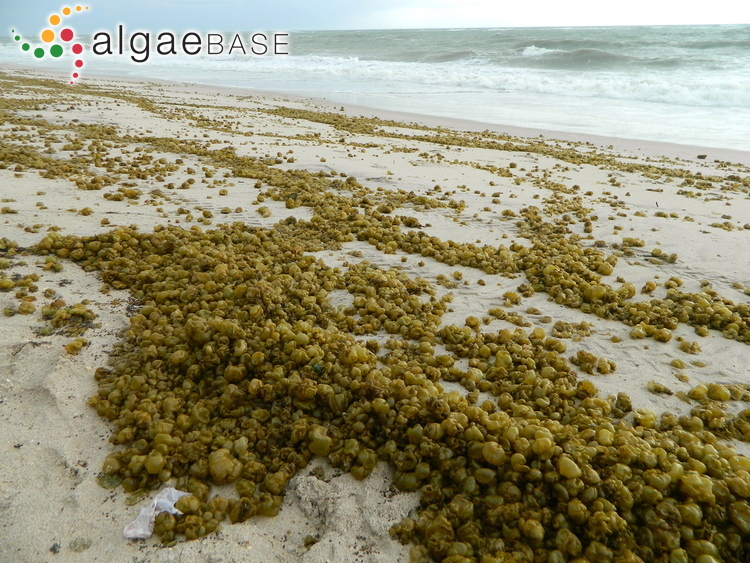 and Zostera disease on the coasts of Ireland. Irish Naturalists' Journal 7: 272. Sauvageau, C. (1927). Sur le Colpomenia sinuosa Derb. et Sol.. Bulletin de la Station Biologique d'Arachon 24: 309-355, 8 figs. Semir, J (1977). Aspectos da morfologia e biologia de Colpomenia sinuosa (Scytosiphonaceae - Phaeophyta) na região de Ubatuba, SPDissertação de Mestrado em Botânica, Universidade de São Paulo. pp. i-iv, 1-102, 102 figs. São Paulo: Universidade de São Paulo. Shaikh, W., Shameel, M., Ahmad, V.U. & Usmanghani, K. (1991). 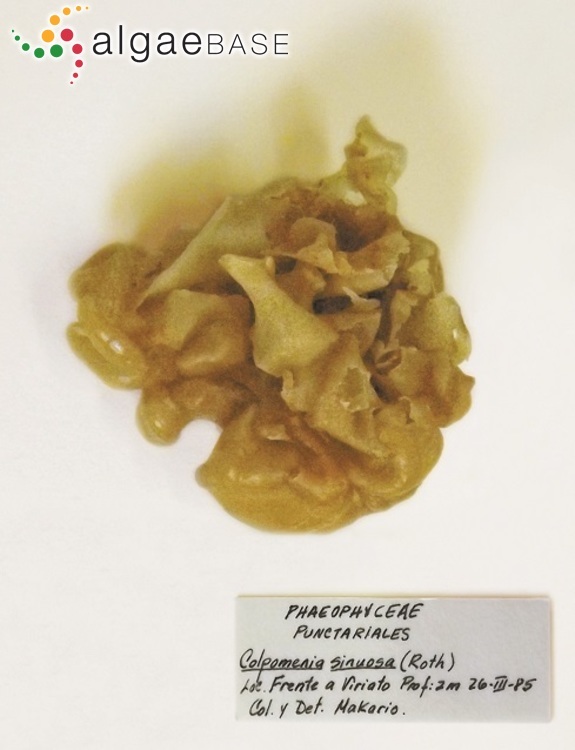 Phycochemical studies on Colpomenia sinuosa (Scytosiphonales, Phaeophyta). Botanica Marina 34: 77-79. Toste, M.F., Parente, M.I., Neto, A.I. & Fletcher, R.L. (2003). Life history of Colpomenia sinuosa (Scytosiphonaceae, Phaeophyceae) in the Azores. Journal of Phycology 39: 1268-1274.